Brush pork loins with olive oil, season with salt and pepper. Lay the pork on your crispy grill tray, then place tray in the upper shelf position. Select GRILL 1 for 18 – 20 mins, turning pork loins halfway during cooking. 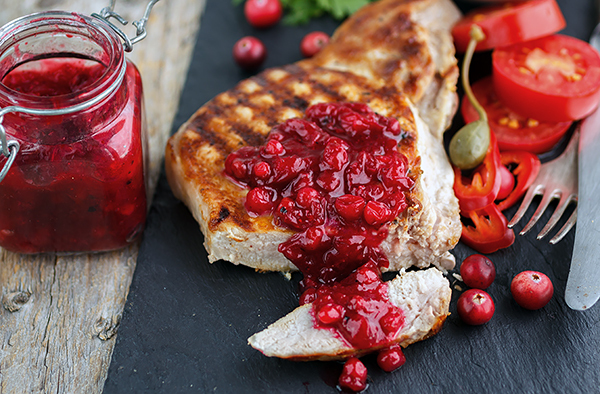 Top your pork loins with our classic, easy and delicious cranberry sauce made with the help of a Panasonic bread maker. Made using the NN-DS596B steam combination oven and SD-ZB2512 or SD-2501 bread maker.